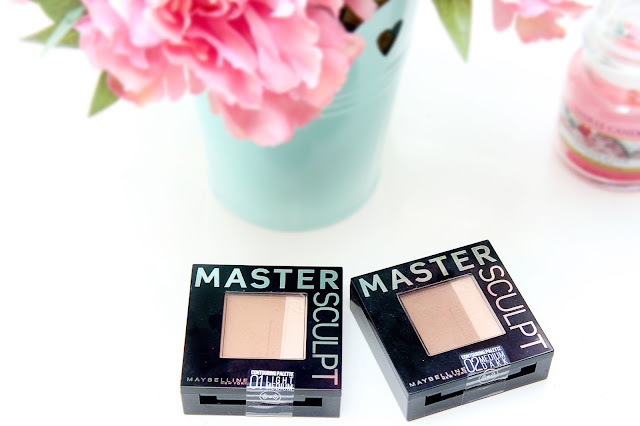 I am sure you all have heard of Maybelline Master Sculpt Contour palette by now. 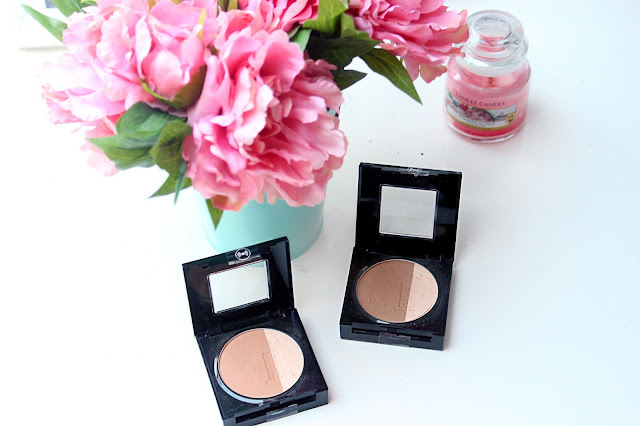 Palette comes in two shades 01 Light/Medium and 02 Medium/Dark, I have purchased both just to see how it works on my skin. I have to say, I like both shades as 01 is great for everyday wear and 02 would work perfectly for night make up to create a bit deeper, more dramatic look. As you can see in the pictures 01 is lighter and a lot warmer tone. 02 Medium/Dark has grey undertones which is perfect for cool skin tones, this one looks great in photography as well as it gives deep natural looking shadow if applied corectly and not too much. It's very easy to over do with darker shade, so you have to be VERY careful how much product you are putting on your face. Each palette comes with contouring brush, which I am not a big fan of. It's good to create sharp line, but it's not the best in blending. The bristles are not so soft and I felt like it was scratching my face, but that wasn't a problem as I am using my RT countour brush anyway. The packaging is bulky, in my opinion, and takes a lot of space in my make up bag. But you get mirror and brush in the same compact so you can't expect the packaging to be very thin and small. Consistency is powdery and blendable, but not very pigmented. Highlighter in the both palettes comes in exactly same shade, but it's just a regular shimmery powder. I really like these palettes after all. For £6.99 you get good product, which lasts all day without retouching it. I would recommend to get it and try it out yourself. This does look like a great contour shade but I'm not too sure about the highlighter within it which has put me off buying it myself! I'm tempted to give it a go but there has been many mixed opinions.